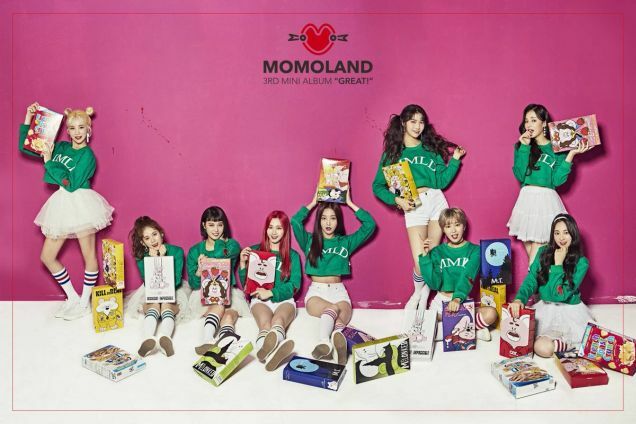 Momoland has dropped their 3rd mini-album, optimistically titled 'Great!' 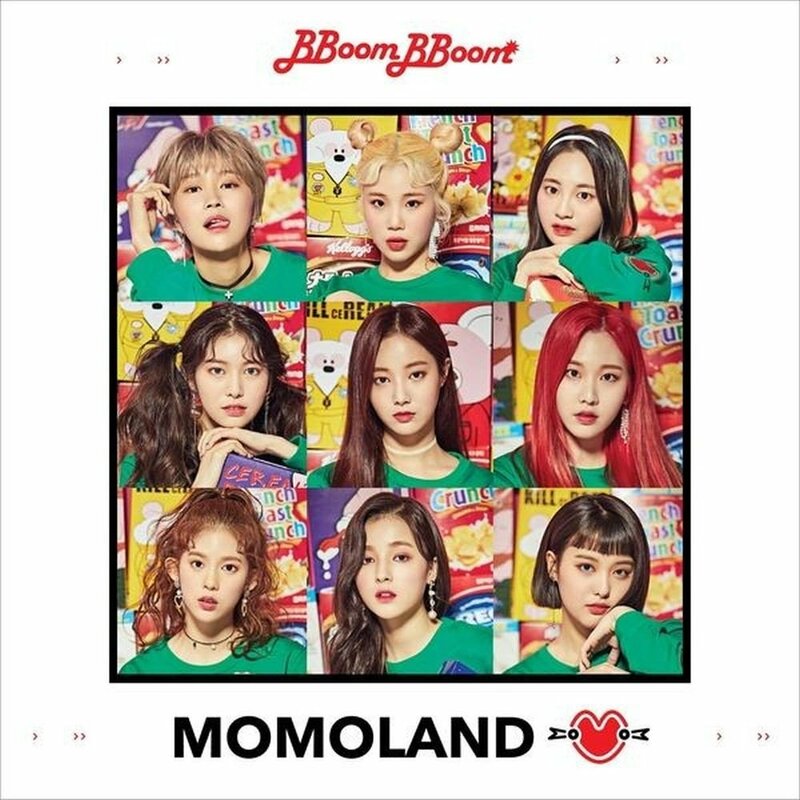 They've teamed up with Shinsadong Tiger for their title track "BBoom BBoom" so that's a good start. "BBoom BBoom" is a fantastic example of cute fused with a more defined sound. They've come a long way from their rather limiting amusement park concept. With horns, guitars, and a lit dance beat, this song is a perfect jam in every way except one -- the rapping. There's a word to describe that part: it starts with "A" and it's not "awesome!" (any leanings toward vulgarity are entirely the fault of the reader.) On "Curious" they slow things down somewhat, and it almost resembles an acoustic tune, except they add in synths. There are some sweet techno flourishes here, and it's really catchy and soothing at the same time. The last track is "Wonderful Love," only it's an EDM remix, as well as an instrumental. It's okay, but there's a lot of obvious drum machine influence here which makes this track more grating than ingratiating. Parts of this MV are set up like a home shopping network, the kind you see on TV. The members present various items, in mildly humorous situations. Not only is it an advertisement for the album (running in a conspicuous banner down below), but also introduces the members (in case you had no idea who they were). The dancing is equal parts a-ok and aegyo. They're actually pretty good at it, if not amazing. They've got the cuteness and the boldness that befits the song, even if some parts are more cheerleader moves than dancing. It's still fun to watch, and it doesn't look awkward. The rest of it is interesting camera tricks and the girls against some CGI effects. In some ways, I felt that was filler, but it didn't really bring the score down at all. 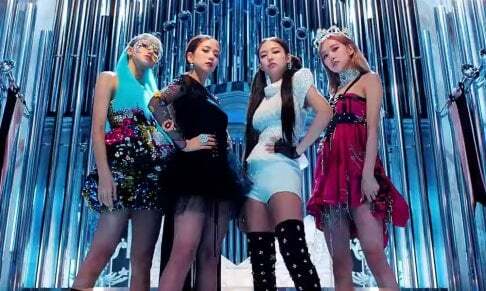 The only part I disliked was the less-than-stellar rap by Daisy and JooE, that was for some reason highlighted in the darkness -- offset from every other scene. It seems like they're proud of it. I'm not a fan. Still, from every other angle, this is a great song and the MV is bright, upbeat, giving me a giggle or two. These girls have earned a thumbs up.